Amazing facts about these amazing creatures. Snorkeling respectfuly with the wonderful turtles. 1.Turtles have been around a lot longer – and seen a lot more – than you might think. Turtles have been roaming the earth for over 200 million years. They lived alongside dinosaurs, and bared witness to their extinction 65 million years ago. They are older than mammals, lizards, crocodiles, snakes, and birds. 2. They could (hypothetically) give you a high five. Most species of turtle have five toes on each limb. A few turtle species only have four toes on each limb, and even more uncommonly, three toes on each limb. 3. Babies need to make it on their own. No species of turtle nurtures their children. Turtles mothers find a location on land to dig a nest and lay their eggs. After they lay their eggs, they walk away. It’s up to the babies to fend for themselves once they hatch. 4. Leatherback sea turtles have special shells that compress when they deep dive. Instead of the scaly, horny shells most sea turtles have, leatherback turtles have shells that are akin to hard rubber. This allows them to deep dive without their shells shattering – the atmospheric pressure simply makes their shells compress. 5. Turtles can (kind of) hear. To the naked eye, it appears turtles don’t have ears. However, behind their skin flaps, turtles have middle ear bones that carry noise vibrations down their ear canals. Their middle ears have a very thick membrane that greatly inhibits the audio frequency range they can detect, though. 6. Turtles come in ALL shapes and sizes. The bog turtle can be as little as 4-inches long, whereas the leathery turtle can weigh up to 1500 pounds! 7. 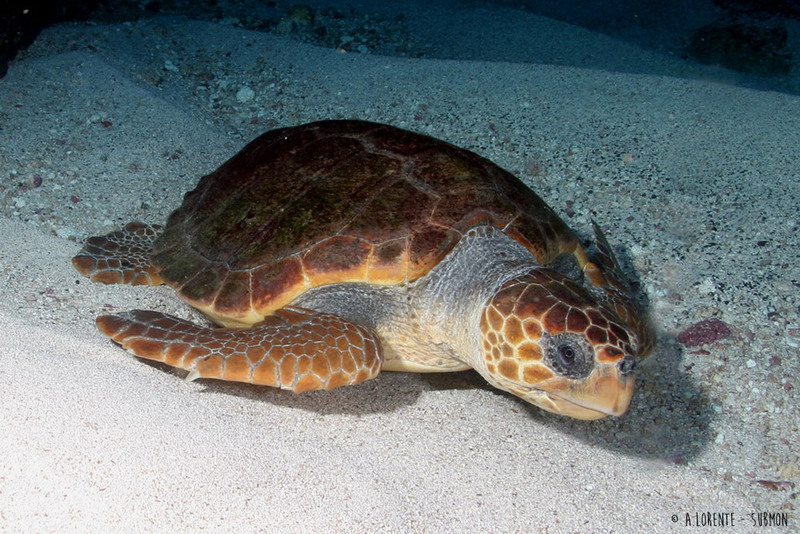 Sea turtles can’t retract their head and flippers into their shells. Only land turtles can withdraw into their shells. This makes sea turtles a much easier target for predators compared to their relatives on land. 8. Turtles rely on their vision. Turtles have excellent vision – and they need it to survive and thrive. Scientific research has shown they can identify a range of different colors, and even favor some colors over others because they are more appetizing. Research has also shown that some turtles become so debilitated without sight, they can’t make their way back to the water from land. 9. Female turtles can store sperm for up to four years. No man, no problem. After mating, females can willingly store sperm in their bodies for up to four years. No need to rush, mama. 10. Sea turtles have an internal GPS. Who needs Siri? Not sea turtles. They have an internal system that helps direct them across the ocean and back using the earth’s magnetic field. Turtles can sense variations in the magnetic field and can pinpoint specific coastlines by the unique magnetic signature it has. Did these fun turtle facts surprise or shock you? We hope they at least sparked your interest in these incredibly dynamic, resourceful reptiles. If you want to discover more interesting facts about Europe's amazing marine species, check our section on marine wildlife!